Everyone is welcome at the City of Markham! That’s why we’re committed to being an accessible and diverse city. Markham is committed to ensuring that all residents have full and equal access to its facilities, services and information. Accessibility makes it possible for people with all levels of ability to take advantage of everything Markham has to offer. Our goal is to reduce barriers to as many people as possible in the physical environment, customer service and communications. This includes new multilingual services and assistive communication technologies. Learn more about Markham's accessibility initiatives. Recognizing the outstanding contributions of businesses, public institutions and individuals who are champions for accessibility. On September 24, these Markham businesses and individuals were recognized for their support of accessibility. Being awarded for Developing peer driven affordable programs for youth with developmental disabilities in York Region. Established in 2005 by local high school students in Markham. Being awarded for providing excellent customer service to a person with a disability. Being awarded for making students with disabilities see themselves as no different then other students enabling kids to believe themselves and achieve their goals. Be awarded for its accessibility initiatives and its commitment to improving the accessibility of Markham Stouffville Hospital. Trained staff on accessible customer service. Being awarded for being a disabled person who has contributed broadly to society, and for providing outstanding support to other persons with a disability. Danny lost his sight when he was in high school. He is friendly independent and can do just about anything. Attended University of Manitoba’s Computers for the blind program, certified as a Novel Network Engineer, Licensed as a Reflexologist, Certified as a life skills coach, Certified in Project Management, and completed training in theology, social work, and biblical counselling. Being awarded for going above and beyond her duty as a child care provider to provide affordable, quality, and inclusive child care to children with disabilities. The purpose of the Markham Accessibility Award is to work together to promote a fully accessible Markham by recognizing and encouraging outstanding contributions of businesses, public institutions and individuals in the area of accessibility. To increase the awareness of the importance of making Markham fully accessible. Markham is committed to ensuring that all residents have full and equal access to its facilities, services and information. Accessibility makes it possible for people with all levels of ability to take advantage of everything Markham has to offer. In 2008, the Government of Ontario launched the accessible customer service standard under the Accessibility for Ontarians with Disabilities Act. Its goal is to ensure that people with disabilities get the same level of customer service as everyone else. The law requires that all public and private sector organizations in Ontario, including the City of Markham, identify, remove and prevent barriers to accessible customer service. Markham has conducted extensive training of its staff, volunteers and suppliers to meet or exceed the standards. Take a moment to read more about how Markham is working toward access for everyone. Visit the Government of Ontario website for more information. In 2011, the City of Markham received recognition under the Excellence Canada - Ontario Accessibility Awards Program [PDF] for meeting and exceeding the requirements of the Accessibility for Ontarians with Disabilities Act. The City has reached out into the communities in which it serves to reinforce the principles of independence, dignity, integration, and equality of opportunity for people with disabilities. This has been accomplished by actively raising awareness about accessibility, implementing its own initiatives for all to benefit from, and inviting feedback to inform future planning and continuous improvement. Every year on December 3rd, people around the world celebrate contributions of people with disabilities. First declared by the United Nations in 1992, the International Day of Persons with Disabilities draws attention to the many ways in which those with disabilities enrich our communities. The City of Markham proclaimed December 3 as the International Day of Disabled Persons, a day to raise awareness and endorse measures to improve the situation of persons with disabilities and provide equal opportunities. Markham's Annual Accessibility Fair, presented by Markham Advisory Committee on Accessibility, features local businesses and organizations that offer products and services to people with disabilities, seniors and residents who face barriers in their communities, and to their caregivers support persons. In 2013, the theme Move it! promoted an active and healthy lifestyle for people with disabilities through recreation and sports. In 2015, the Accessibility Fair was held at Markham's cutting edge PAN AM Centre, a host venue for Para Table Tennis at the 2015 Parapan Am Games. In 2018, the Markham Accessibility Fair was held at Applefest. The cost of admission is $8 per person and includes all activities/rides found at Applefest. Free for children under 2 years of age. Markham's Assisted Waste & Recycling Collection Service is a no-cost program that promotes independent living and reduces the risk of injury to those in need of physical assistance. If you are a Markham resident unable to place your waste and recycling materials at the curb due to a temporary or permanent physical disability, and do not have someone living with you to assist, apply for Markham's Assisted Waste/Recycling Collection Service. Alternate formats of City of Markham publications are available upon request. Contact 905-477-5530 or customerservice@markham.ca. The City of Markham intends to be a leader in developing accessible environments for all, embracing the principles of universal design and recognizing diversity, barrier removal, provincial directions and changing demographics. Download our Accessibility Design Guidelines [PDF] to learn more. The Markham Advisory Committee on Accessibility advises Committee/Council on improving opportunities for persons with disabilities and reducing and/or eliminating accessibility barriers for all residents of the City of Markham. In 2014, Current MACA co-chair Kristin Hayes was recognized at the 3rd Annual GTA Abilities Awards with the Citizenship Award. Please contact our Contact Centre with questions. We want everyone to feel welcome at the City of Markham! That’s why diversity is one of our seven strategic priorities. It’s also why we’ve put together a Diversity Action Plan. Diversity is one of Markham's seven strategic priorities and we strive to develop and maintain an environment where everyone feels welcome to participate and where respect and acceptance is practiced in words and actions by all. We believe in integration and equitable access for residents, visitors, and employees. Since the launch of our Diversity Action Plan, the City has continued to demonstrate leadership as it embeds diversity and inclusion into our planning and design, our processes and policies and our staff training and education. We are also committed to meeting the needs of people with disabilities in a timely manner, and will do so by meeting the accessibility requirements under the Accessibility for Ontarians with Disabilities Act, 2005 (AODA). January 2018 Markham Council agreed to the wording of the Indigenous Land Acknowledgement. 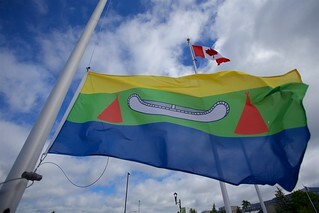 Connects to our Canadian Coalitions of Municipalities against Racism and Discrimination (CCMARD) to “promote respect understanding and appreciation of cultural diversity and the inclusion of Aboriginal and racialized communities into the cultural fabric of the municipality. Why does a land acknowledgement matter? We begin today by acknowledging that we walk upon the traditional territories of Indigenous Peoples and we recognize their history, spirituality, culture, and stewardship of the land. We are grateful to all Indigenous groups for their commitment to protect the land and its resources and we are committed to reconciliation, partnership and enhanced understanding. MDIG is co-chaired by York Region and York Regional Police and includes members from local municipalities, hospitals, school boards, agencies, conservation authorities and the United Way Greater Toronto. The City of Markham has long benefited from the partnership of York Regional Police to permit City staff to go on their Places of Worship tours with new recruits. In 2018, Fire began working with the Diversity Lead designed a pilot to bring new Fire Recruits and eventually City staff to local places of worship to ensure that they were prepared to respectfully serve a diverse demographic. The City continues to try to acknowledge the needs of diverse communities. Our Civic Centre Universal washrooms are large enough to have a mother and children in the space, equipped with change tables so any parent can change their child, with grab bars, emergency buttons and the required turning radius for wheelchair users. We have labelled the washroom to promote inclusion, the legislated accessibility icons and braille as well as a statement of “all genders welcome” to be inviting to trans communities. Participants learned about governance, visited Angus Glen Community centre and library went to the Varley and Unionville Depot and had time to visit YRP Station number 5. Committed to reducing poverty and inequality in Canada and to building strong civic communities. Join and learn about working with diverse cultures, generations, languages. Provides best practices on inclusion from cities worldwide. Canadian Coalition of Municipalities Against Racism and Discrimination (CMARD) Toolkit. Cheryl Marcus, Markham's Community Librarian, is committed to providing the assistance, services and resources that help newcomers and their families adapt to their new community and workforce, build a better life, and achieve their full potential. We want those new to Markham to feel welcomed and supported, so that they are engaged and participating in our vibrant community. A helpful resource for new immigrants, providing useful information about health care, housing and laws in Ontario and Canada. Markham's two Welcome Centres are focused on integrating new immigrants. A series of short video that follow a new immigrant named Tarek through his employment in a Canadian organization. York Region's LGBT resource, education and support network - Support meetings are held every fourth Tuesday of the month. Resource to support women seeking information on legal issues. Markham has completed its legislated Bill 168 training which reiterates the employee and organizational responsibility to maintain a violence and harassment free workplace. Tools to support youth in finding jobs, getting connections, finding housing, understanding sexual orientation and gender identity and more. The Diversity Action Plan was developed through extensive public consultation and contains 68 recommendations that will further strengthen our commitment towards inclusion and celebrating our diversity. With that goal in mind, the Plan paid particular attention to the needs of four communities of focus; youth, newcomers and visible minorities, seniors and persons with disabilities. 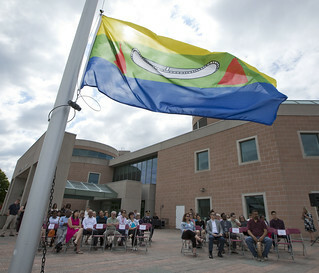 Markham Council approved the Diversity Action Plan on June 15, 2010. Engage Markham’s diverse communities and foster a greater understanding of diversity across Markham through community partnerships. Enhancing Markham's boards and committees. Find ways to make Markham services more accessible. Develop an effective communications plan. Revised information present on Portal and added demographic data including ward specific data based on 2011 census information. Engage and educate Markham staff. Currently conducting mandatory Diversity and Inclusion training across the organization. Ongoing staff workshops on topics such as: Hinduism, Chinese Culture, Abrahamic Religions, Lesbian, Gay, Bisexual and Transgender Communities. If you have questions or comments about the Diversity Action Plan, please contact Cheryl McConney-Wilson, Diversity Specialist, City of Markham, at 905-477-7000 extension 2557 or email CMcConney-Wilson@markham.ca.